Featuring The Vocal Majority, thirteen times national chorus champions. 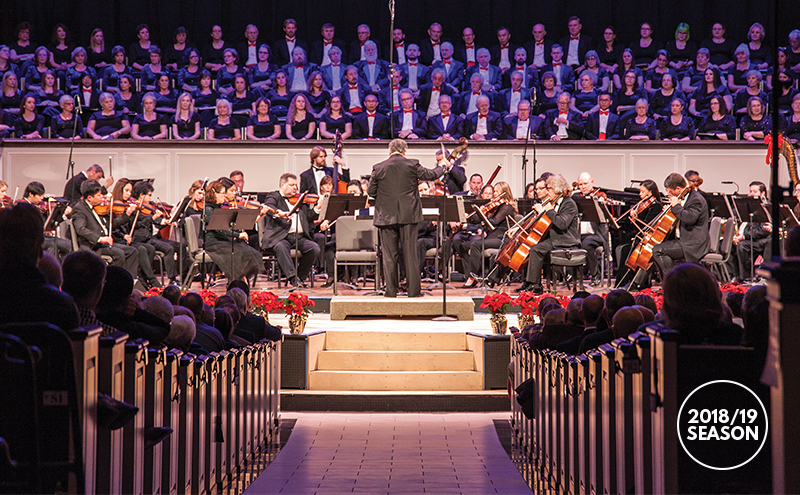 With over 300 musicians, “Home for the Holidays” includes seasonal favorites for orchestra and chorus, the popular audience sing-along, visitors from the North Pole, humor, and surprises. The 2018 performances feature The Vocal Majority, winners of 13 International Chorus Championships.